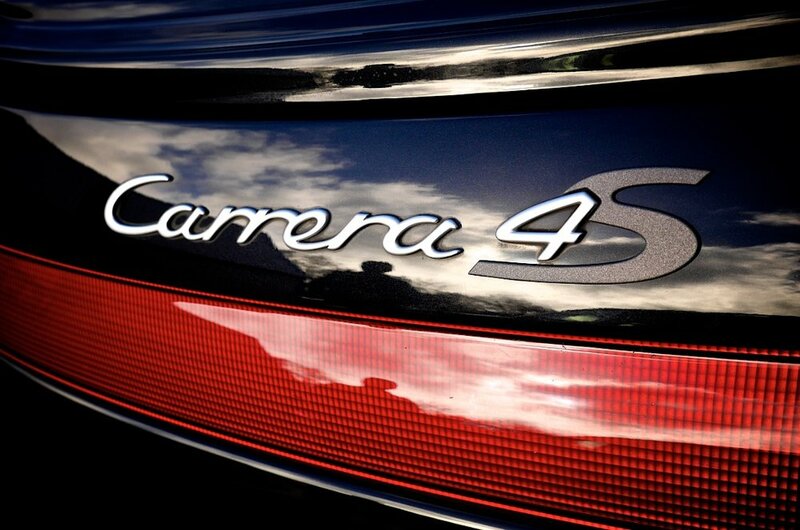 Washing your Porsche thoroughly and safely is important to keep the paint looking and staying bright and reflective. Cheap car wash services using bad methods and automatic machines at service stations using poor quality equipment and harsh or wrongly diluted chemicals, are indeed quick and convenient but the trade-off is that they will damage your paint and trim which will become more obvious with each wash, making your pride and joy look tired and unloved. At Precision Porsche we do things differently, by using only the best equipment and cleaning products currently available and in the correct way. A Good Method is just as important as the products and equipment themselves. Below is our Precision Wash Process. Before any cleaning products are applied, your Porsche will be rinsed from top to bottom and the wheels and arches rinsed to remove loose dirt. Then a dedicated pre-wash foam will be used to further aid dirt removal before the car is physically washed. A non-acidic wheel cleaner will then be applied and gently agitated with soft wheel brushes. Wheel arches are pre-sprayed with a citrus degreaser and agitated with brushes. After a thorough rinse-off a fallout remover is then applied to the wheels to remove stubborn brake deposits. Boot, bonnet and door shuts are cleaned with a citrus degreaser and soft brushes, then rinsed. Your Porsche will then be carefully washed from top to bottom using ultra soft lambswool wash pads and mitts and a premium ph neutral shampoo, using the two bucket method with grit guards. As we approach the lower half of the car, a citrus degreaser is sprayed on to tackle the more contaminated areas. After a through rinse, a tar remover is applied, wiped off, then rinsed. Fallout remover is then applied to remove metal contamination and rinsed off. A claybar will then be used to remove more stubborn bonded contamination. 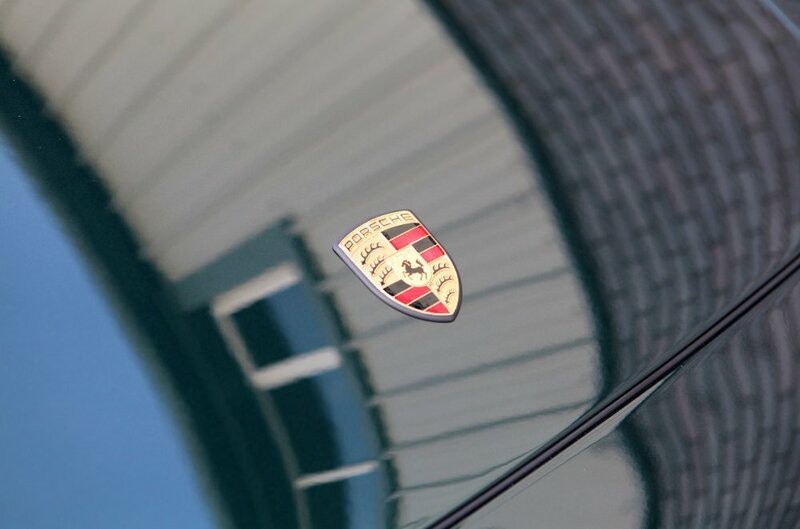 After a thorough rinse your Porsche will be dried using deep pile microfibre towels. *this process is standard practice for all of our Detailing services. Enhancement Detail is best suited for regular/daily driven cars that are looking flat and lack gloss and depth to the finish. Maybe you have purchased a used Porsche and feel it needs a lift to bring it up to the standard you are looking for. 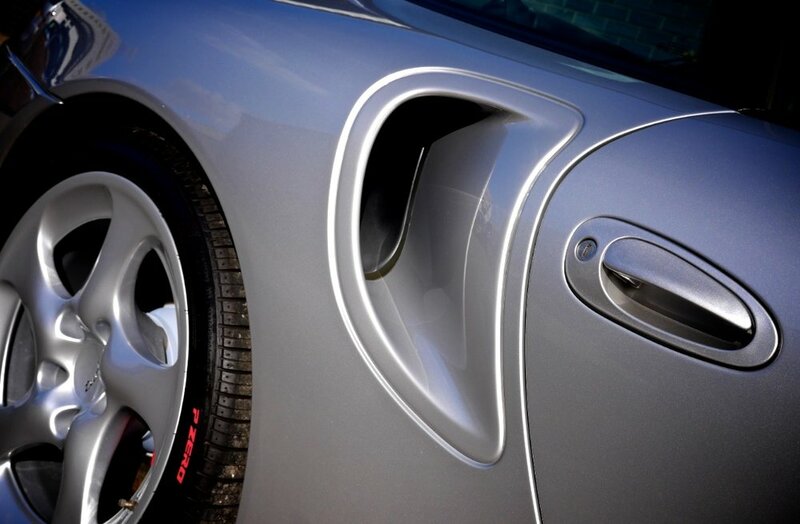 Precision Porsche can bespoke an Enhancement Detail to suit your requirements. Starting with our Precision Wash Process. 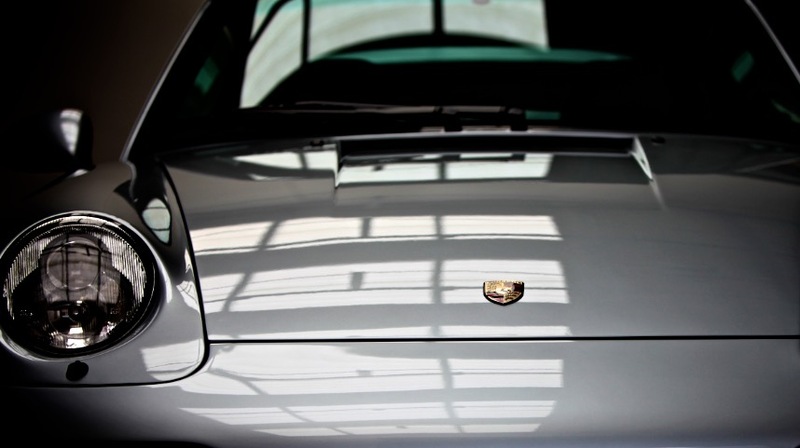 [above] your Porsche will be moved into our Detailing Workshop and inspected thoroughly with lights. Paint thickness measurements will be taken prior to polishing. The paint will then be carefully machine-polished using various pad and polish combinations to remove swirls, light scratches. To refine the finish, each panel is wiped down and inspected. If you have just purchased a new Porsche - congratulations! At Precision Porsche we can prepare and protect it for you so it gets the best start in life. You can then concentrate on enjoying it, knowing it has been prepared to the highest possible standards with premium products and meticulous attention to detail. Dealerships do not spend the time needed to prepare your new vehicle to the standard it deserves before it is handed over. Dealer 'Protection Packages' are low quality and cheap, with inexperienced staff applying them to a badly-prepared car. 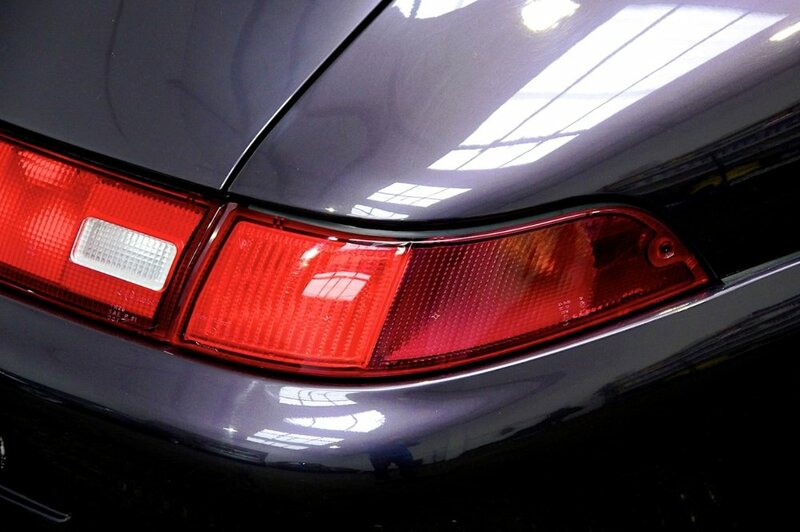 After our Precision Wash Process (see above) your Porsche will be moved into our Detailing workshop and the paint and interior inspected thoroughly with lights. The paint will then be machine-polished using a one pad and polish combination to lift gloss and refine the finish. Each panel will then wiped down and inspected. Rain repellent applied to windscreen.